An incredible find in Arlington Ridge.....Small Town Living with lots of Amenities. Concrete Block Structure NEW 2017, This Barely-Been-Lived-In & thoroughly updated home is located on the 3rd hole of Arlington Ridge Golf Course. Features: Insulation package: foam injected block insulation, double pane windows, radiant barrier, Upgraded Appliances, Washer and Dryer Pedestals, Gas Range, Dryer, 40 gallon Hot Water Heater, Screened Enclosed Front Entry, Screened Lanai w/Sun Shades, 3-year charcoal water filter, Rounded Drywall Corners, Granite kitchen countertops, 20x23 ft garage, Laundry tub, Upgraded Bronze faucets and fixtures, 2 blinds throughout, Termite bond with Fl Pest Control. Some furniture negotiable. This community of 1034 homes [and home sites], features beautifully manicured lawns, lush palm trees, 24-hour staffed security, with amenities and activities to fit every taste, interest and budget. Residents enjoy a well-equipped multi-purpose clubhouse, two swimming pools [one heated], Community Theater, fishing ponds and much more. Scenic walking and biking trails nearby. RV Parking, Lawn Maintenance, Cable TV and Fiber Optic High-Speed Internet included in fees. 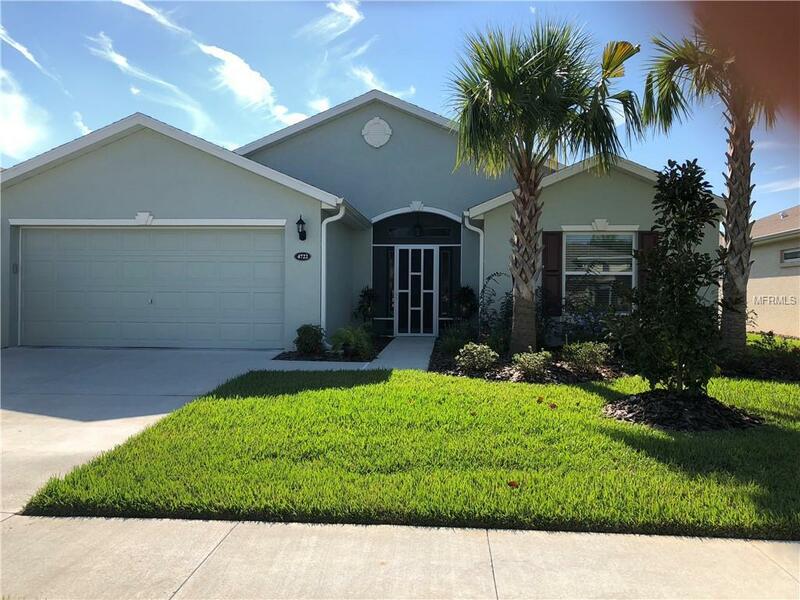 Central Florida 55 Plus Active Adult Specialists in Gated Golf and Tennis Retirement Communities with Championship golf course [memberships available], large clubhouse, state of the art fitness center. A 30-45 minute drive to all Orlando attractions!